This season, NBC has two sitcoms on their Thursday night lineup with stars from past hits on their Thursday night lineup. The latest is Sean Saves the World, a sitcom starring Sean Hayes as a divorced father (who also happens to be gay) dealing with raising a teenage daughter, a busy work life, and a meddling mother who just can't stay out of his life. Sean Hayes (Sean) is best known for his role as Jack in the series Will & Grace. He also serves as executive producer for the series, and is also as an executive producer of popular series including Grimm, Hot in Cleveland, and The Soul Man. 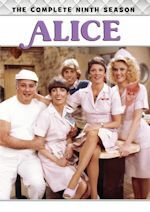 Linda Lavin (Lorna) is best known for her role as Alice in the popular TV series Alice, which ran from 1976 until 1985 on CBS. She began her career on Broadway, and has appeared in other series including Barney Miller, Conrad Bloom, and Room for Two. Samantha Isler (Ellie) was born in Tulsa, OK, and has appeared in roles in the films Home Run and No One Knows. Thomas Lennon (Max) is a comedian and writer who is best known for his role as Lieutenant Jim Dangle in the series Reno 911. He has appeared in cameo appearances in several films. Megan Hilty (Liz) is a stage and television actress who most recently starred in the series Smash. She has had guest roles in Desperate Housewives, Ugly Betty, Louie, and Eli Stone. Echo Kellum (Hunter) most recently appeared as a regular on the Fox series Ben and Kate. He is a graduate of The Groundlings, I.O. West, and the Upright Citizens Brigade. Vik Sahay (Howard) is best known for playing Lester Patel in the NBC series Chuck. He has also appeared in series such as NCIS and Bones. 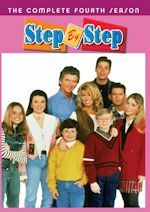 In the pilot episode, we meet Sean (Sean Hayes), a divorced dad who is busy at life with his career and with his constantly interfering mother, Lorna (Linda Lavin). Things get even more complicated now that he has full custody of his daughter, Ellie (Samantha Isler), especially since she has just started high school and is growing up. In the pilot, we get a glimpse into Sean's life, and some of the complications that arise as he tries to juggle all of this, including having to go out of his way to ensure he is spending time with his daughter. In the second episode of the series, Sean has to face facts when he realizes that his daughter is growing up, and like many single sitcom fathers before him, he faces the problem that Ellie needs a bra. So this leaves him to have to turn to one of the women in his life: mother Lorna or friend Liz (Megan Hilty). Unfortunately, chaos ensues when he decides to let both of them take part in this experience. Sean has been out of the dating pool for quite some time, and now it is time for him to reenter it, when he is set up on a blind date with a periodontist. But if he wasn't already a wreck in preparing for this date, the timing couldn't be worse, as Ellie goes to a party and loses her cell phone along the way (it doesn't help that he is tracking her by GPS) and Lorna barges in on the date over her concern when she can't get in touch with Ellie. Meanwhile, back at the office, some classic commercials featuring Sean and Lorna in bed with one another... literally... cause embarrassment at both work and home for Sean. It feels like broken relationships have been a huge theme in some of this season's newest sitcoms, whether they be broken engagements, divorces, separations, or (in this case) the child from a marriage that was never meant to be. I don't doubt at all that such an arrangement for a sitcom is not viable. The idea behind this sitcom is very much workable, but for some reason, it just doesn't seem to work here. Perhaps a lot of my criticism is fueled from the pilot episode. I've watched a lot of pilot episodes where we are slowly and subtly explained what the background is, and why we are where we are... but somehow, this one just felt incredibly forced. It all started father-daughter conversation where both participants in the conversation knew exactly what was going on, but felt the need to just verbally explain it to one another. From that point on, the pilot seemed to drag on and was not at all the most exciting thing to sit through. It didn't help that there really weren't any big laughs in it. About the only redeeming quality was seeing Linda Lavin on TV, but that alone is a novelty that couldn't possibly get a viewer through an entire season. The second episode, "Busted," did get a little bit better, with the traditional father-daughter moment of a single father trying to get a bra for his daughter (Punky Brewster and Who's the Boss? both did this), but it still didn't seem to be all that well written as some of those series were when they handled the topic. "Date Expectations" is a dating episode, something that I imagine that this series will try a lot, where Sean goes on a date after being "out of the pool" for quite some time, and of course, in typical sitcom fashion, everything goes wrong. Honestly, this episode wasn't bad and did provide a few laughs, but not enough to compensate for the lack thereof in the previous two. Finally, the real problem is that this show is pretty much the "odd guy" in the room. NBC has made a reputation for itself in the past decade (particularly when series such as Scrubs and The Office were an integral part of the network) as a network of single-camera sitcoms. 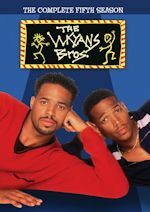 I would love to see them get into more multi-camera sitcoms, as this one is, but the problem is that they tend to not fit in at all when they are completely surrounded by single-camera sitcoms. It would take a really good sitcom to break that barrier, and I'm not sure that this one fits that criteria. There is one positive among all of this, though. The casting of the series is mostly well done, and even Sean Hayes comes off as a character who is likeable in this series. Can Sean save the world, or even the NBC Thursday night lineup? I don't think so. I really wanted to like this show, especially given that it brings Linda Lavin back to TV in a regular role, but this show feels too "forced" and has the same feeling that a long string of unsuccessful NBC sitcoms of the late 90s had (remember, NBC may have been a powerhouse back then, but the strengths were in a few memorable sitcoms, and the rest is now an afterthought). That being said, this is airing on NBC, after all. I expect them to give it a while to try to make it more enjoyable, and who knows, maybe the fortunes of this series could change. Unfortunately, I don't see it saving anything. Discuss the show after you watch it on Thursday, October 3, 2013 at 9:00PM ET/PT on our message board. Nick at Nite's brand-new, live-action family comedy, Instant Mom, had a strong debut on Sunday, Sept, 29, at 8:30 pm (ET/PT), bringing in over a million total viewers and raising both A18-49 and K6-11 viewing levels double digits over last year on a competitive night of broadcast network premieres (CBS's Amazing Race, ABC's One Upon a Time, NBC's airing of Sunday Night Football). The new series, starring and produced by Tia Mowry-Hardrict, drew 1.3 million total viewers and was a strong co-viewing draw with audiences. With Adults 18-49, Instant Mom was up over +12% in delivery, averaging a 0.3 rating/351,000 viewers; and with K6-11, it was up +18% (2.6 rating/518,000 viewers). With Women 18-49, gains were +25% in rating and +13% in delivery (0.5/278,000 viewers). Additionally, Instant Mom's launch on NickMom that same night at 10 pm was the block's highest-rated premiere ever with W18-49 and total viewers. Instant Mom is a multi-camera, scripted half-hour series features Mowry-Hardrict as Stephanie, a party girl who trades in Cosmos for carpools when she marries Charlie (Michael Boatman, Spin City), who already has three kids. 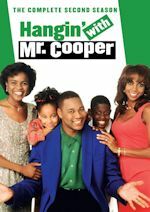 Sheryl Lee Ralph (Moesha) stars as Stephanie's mother Maggie, and rounding out the cast are Charlie's three kids played by Sydney Park (CSI: NY), Tylen Williams and Damarr Calhoun. Instant Mom airs on Nick at Nite Sundays at 8:30 pm and on the NickMom comedy block on the Nick Jr. channel at 10pm. 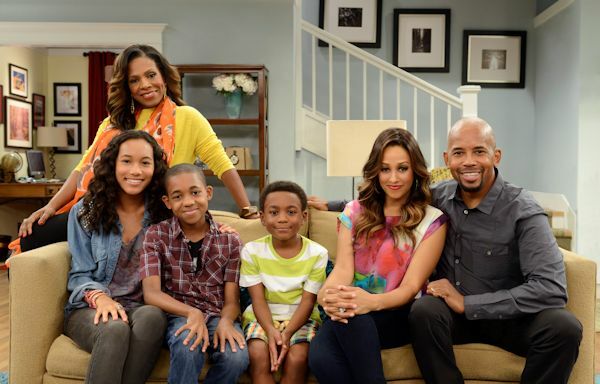 Instant Mom is executive-produced by Howard Michael Gould and Aaron Kaplan.